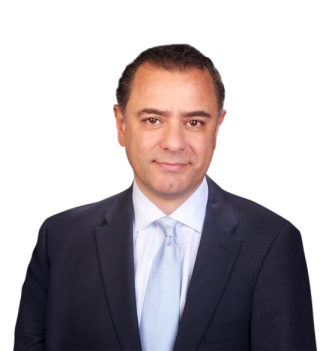 Muhannad is the Founder and CEO of the Haimour Group. He is a performance-driven executive with over two decades of experience in the management consulting profession, business development, trade and investment, and entrepreneurship capacity building. Throughout his time in Iraq, Muhannad has partnered with the public and private sectors on organizing major investment conferences including the U.S. – Iraq Business and Investment Conference in Washington, D.C. in October 2009, the London – Invest Iraq Conference in April of 2009, the Anbar Second Annual International Investment Conference in Istanbul in 2011 and the Anbar Third Annual International Investment Conference in Erbil in 2013. In Anbar, Iraq’s largest Province, Muhannad was the Special Advisor to the Governor of Anbar Province, Mr. Sohaib Al-Rawi, from 2015 to 2017. He provided advice and analysis to the Governor on forging strong business partnerships and strategic alliances, policy development and implementation, governance, and capacity building. He acted as the principal advisor and negotiator on international investment issues to promote foreign investments into Anbar and to secure funding agreements with international donors. Muhannad served as a Senior Consultant for Grant Thornton under a contract with Task Force for Business and Stability Operations, US Department of Defense in 2008 offering services to the Chairman of the Iraqi National Investment Commission. He provided extensive assessment reports and recommendations to develop the organization’s infrastructure, investment promotion tools and strategies, website development, process mapping, staff training and development, and overall capacity building. Muhannad has been a strong supporter for encouraging dialogue, creating economic opportunity and building better understanding between the United States and the Arab Arab World. Muhannad was instrumental in coordinating the first U.S. Arab Economic Forum in 2003, which brought together over 1,500 leaders from both the United States and the Arab world. This three-day historic endeavor – held under the patronage of former U.S. President George H.W. Bush and supported by the U.S. State Department, the Commerce Department, the Arab League and the Gulf Co-operation Council, tackled issues related to transparency and accountability, human capacity building, trade infrastructure, and public-private partnerships. In his role as the Executive Director of the American Arab Chamber of Commerce (AACC), the largest Arab American chamber in the United States, Muhannad worked to forge economic and cultural ties between businesses in the U.S. and the Middle East and promote and empower the business community on a local, national and international level. Muhannad began his career in 1992 at the Arab Community Center for Economic & Social Services (ACCESS), North America’s premier Arab American organization. He held the position of Operations Manager for the Employment and Training Department; assisting hundreds of individuals find and sustain meaningful employment. Building on his success, Muhannad established and directed the Human Resources Department at ACCESS, where he designed and implemented policies and procedures, as well as comprehensive employee training programs for approximately 185 employees. Muhannad is the founder of the Arab American Language Institute (AALI) to provide quality translation and interpreting services in all fields to a wide range of customer base including individual customers, small businesses, corporations, and government entities. Muhannad is a certified translator, an accredited trainer for interpreters, and a language consultant for a number of States. He is also the Founder and Former Publisher of Forum & Link, a bi-lingual, biweekly community newspaper celebrating Arab America. Muhannad has several media appearances such as CNN International, Sky News, BBC Newshour in addition to several print media such as New York Times, Wall Street Journal and Newsweek to name a few. Graduate of Schoolcraft College – Police Academy, Muhannad served as a Police Reserve officer in his hometown Dearborn, Michigan for two years. He is also a graduate of Leadership Detroit and the Multicultural Immersion Program. Muhannad holds a Bachelor’s degree in Public Administration, with a minor in English Language and Literature from Yarmouk University in Jordan. He is the recipient of numerous public awards.